With my first instructor from another school I always felt very nervous behind the wheel. 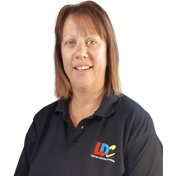 But that all changed when I chose to drive with Helen from LDC; She is a great instructor who is patient, motivating, calm and friendly. The LDC workbook helped me a lot too, with its structured lesson plans so I always knew what I had to practice. I would definitely recommend to learn with such an encouraging , helpful teacher! Thank you so much Helen for helping me pass my test as well as making me a confident driver! 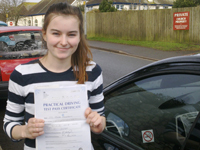 I'm a driving instructor in Exeter, Exmouth and surrounding areas..